Born at Bell’s Corners, Ontario on 5 September 1873, son of Absalom Garland and Isabelle Foster, he was educated at the Ottawa Collegiate Institute. He came to Manitoba in 1892, and was employed as a clerk in a mens clothing store owned by his uncle, William Garland, at Portage la Prairie. He was appointed manager in 1897, was taken into partnership in 1899, and took over the entire business after death of his uncle. 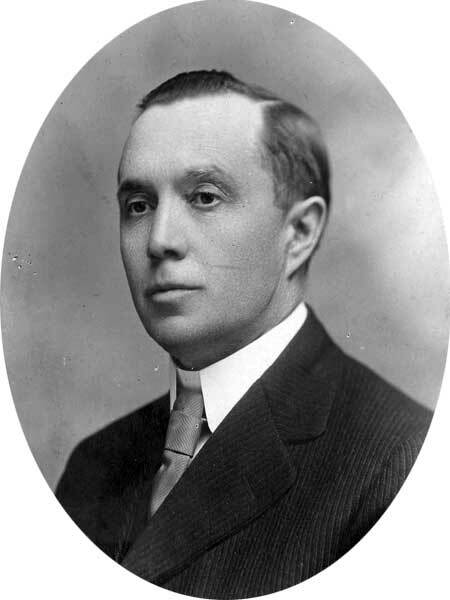 Garland served nine years (1901 to 1910) as a councillor for the City of Portage la Prairie, and three years as Mayor starting in 1911. He was elected to the Manitoba Legislature for the constituency of Lakeside in 1914 then was defeated in 1915. A member of the Portage Board of Trade for many years, he served as its President. In 1898, he married Kathleen Helena Fox (1874-1947), with whom he had four children: Kathleen Isabel Garland (1900-? ), Doris Anne Garland (1902-1980, wife of Harley M. Hughes), Phyllis H. Garland (1904-? ), and John J. Garland (1910-?). He was a member of the AF & AM, IOOF, Portage Kiwanis Club, Conservative, Anglican. In 1925, he lived on Dufferin Avenue in Portage la Prairie. He died at Portage la Prairie on 9 March 1925 and was buried in the Portage Hillside Cemetery.